Notary Public Oakland is a traveling notary public service that specializes in assisting the community with notarization of signatures on all forms of loan packages and other document, plus securing expedited Secretary of State and U.S. State Department apostilles and authentications for documents requiring legalization for recognition and use in foreign countries. We also help you secure authentications/certification from foreign embassies and consulates that are not members of the Hague Convention Abolishing the Requirement of Legalisation for Foreign Public Documents. Our California Secretary of State-commissioned notaries public are Certified Loan Signing Agents, who will meet you in your home, office, or a public space in or near the communities of Alameda, Albany, Berkeley, Emeryville, Montclair, Piedmont, and Oakland. We understand that time is money and the importance of getting the job completed correctly the first time. Our business practices ensure excellence and accuracy. Notary Public Oakland works with agencies, corporations, individuals, escrow offices, law firms, nonprofit organizations, and title companies in the East Bay near San Francisco. 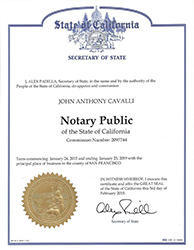 John Cavalli is a mobile notary who travels to your house, business, or any other location that is convenient to you. Short-notice, after-hour, and Saturday and Sunday appointments are often available. Call (510) 838-0008 to schedule. 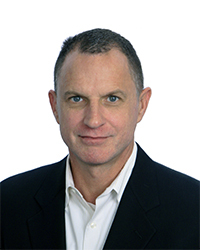 John is a certified notary signing agent who specializes in all types of mortgage packages. He can also help rush processing of California Secretary of State and US State Department apostille and authentication processing, and also obtain foreign consulate and embassy authentications/certifications, so documents can be recognized in other countries. John is bonded and insured. He carries a $100,000 Errors and Omissions policy. John can pick up your documents locally, or they can be delivered to John in person or via courier, U.S. mail, overnight mail service, email, or by download. John serves Alameda, Albany, Berkeley, Monclair, Piedmont, and Oakland.